Skinners Brewery’s Cornish Knocker has won silver in the best bitter category of the 2009 CAMRA Peterborough Beer Festival, the UK’s second biggest event of its kind. Competing against nearly 400 of Britain’s finest beers, it proved once again that it remains one of the very best golden ales 12 years after its launch, said chief executive Steve Skinner. “It was our first product and at that time it was a true trailblazer,” he explained. “Golden ales were then in their infancy, but now they are one of the most popular ale styles and virtually every brewery is making them. “So Cornish Knocker ‘s continuing success at this level speaks volumes for its quality – and for Cornish barley! It has been a consistent winner at festivals ever since its launch. Last year Cornish Knocker won bronze at the Great British festival – when Skinners’ Betty Stogs was judged the nation’s best bitter – and it has twice triumphed as South West supreme champion beer. 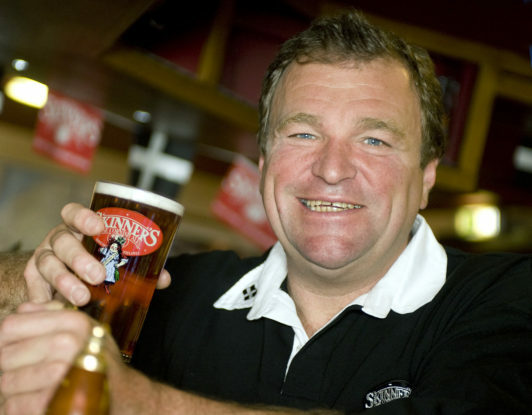 Ales brewed by the Truro-based company have won more awards than any other Westcountry brewery over the past decade. Cornish Knocker is named after the Cornish tin mine fairies who, by knocking, used to lead miners to the best seams in return for the crusts of their Cornish pasties. It is described as full of life with hops all the way through, with a clean and lasting malty, bittersweet finish.